The night kicked off with Villanova and Marquette at 7 pm. The first half of this one was a storm of three’s as both teams exchanged three pointers with ease. Villanova held a 41-34 lead going into the half thanks to 16 points from Mikal Bridges. On the other end Marquette was led in scoring by Markus Howard who also had 16 points. In the second half Villanova was off and running and never looked back. The Wildcats three point barrage was too much for Marquette to handle as they built a solid lead. Thanks to strong contributions from Mikal Bridges, who had 25 points, and Jalen Brunson, who had 21, Villanova ran away with a 94-70 win over Marquette. The day wrapped up with a must-see matchup between Seton Hall and Butler. This game went down to the wire in a classic Big East Matchup. Seton Hall got out to a quick start, jumping out to an early lead. The Pirates would lead for all of the first half thanks to strong contributions from Ismael Sanogo, who had 12 first half points, as well as Khadeen Carrington, who had 11 points. Butler struggled in the first half and were unable to overtake the Seton Hall lead despite a strong contribution from Kamar Baldwin, who had 14 points. Seton Hall lead Butler 43-35 at the end of the first half. In the second half Kamar Baldwin dominated as the Bulldogs clawed away at the Seton Hall lead. Baldwin scored 18 of Butler’s 40 points in the second half helping the Bulldogs mount a late game comeback. With 1:10 left to go in the game, Butler took its first lead since the beginning of the game after a Baddley layup. The lead switched multiple times in the last minute of play as Seton Hall tried to fight off Butler’s late run. With 11 seconds to go, Seton Hall coach Kevin Willard took out the league leader in rebounds, Angel Delgado. Willard’s decision proved to be detrimental as Butler’s Tyler Wideman tipped in what would be the game winning shot with 4 seconds to go. Butler narrowly defeated Seton Hall 75-74 in what could be considered the best game of the day. 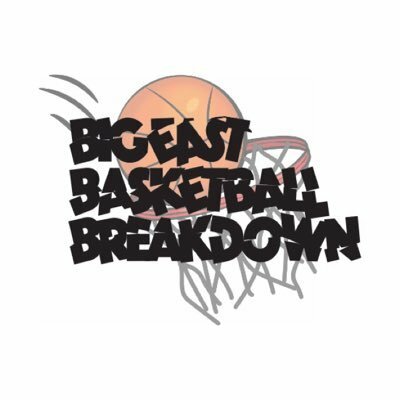 Villanova and Seton Hall will face off in the semifinal game at 9pm on Friday. Butler and Villanova split the season series making Friday nights game at Madison Square Garden a must see matchup between two teams eager to win the tournament. Xavier is not only the best team in the Big East, but one of the best teams in the country. After a dominant victory over St. John's yesterday, the Muskateers had a great start against the Friars in the Big East Tournament Semifinals. But, that didn't last long.